A season filled with buzzer beaters and upsets ends with confetti flying. As the college basketball season went into one of the most exciting times of the year, over 70 million people worldwide created brackets to hopefully achieve the impossible: a perfect bracket. The odds of having a perfect bracket are one in 9,223,372,036,854,775,808, or one in nine quintillion. The odds are better for becoming an astronaut, finding a four leaf clover, bowling a perfect game, winning an Academy Award, making an albatross (Scoring a two on a par five in golf), or becoming the President of the United States. 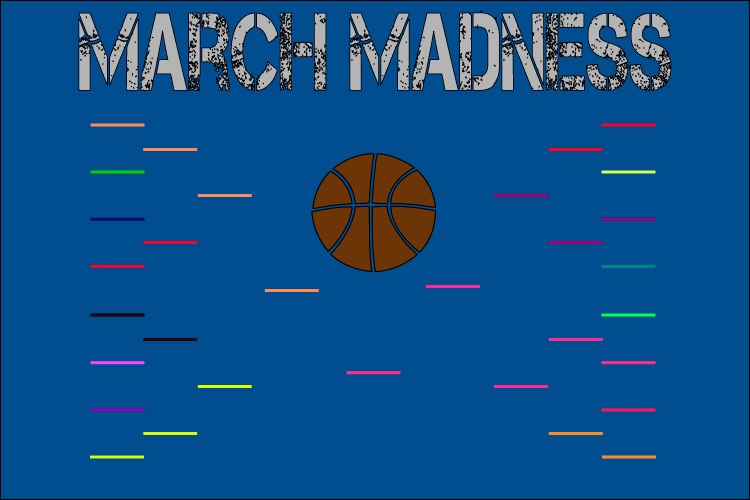 This March was unlike any other, with the biggest upsets in tournament history. Many would say this was the Cinderella tournament, due to Loyola Chicago’s incredible charge as an eleventh seed making their way to the Final Four, behind Sister Jean’s prayers in the Round of 32 and Sweet 16. The team had magical moments, with the Loyola Ramblers winning in the closing seconds of each game through miracle shots. In the history of March Madness, 16th seeds have won zero of the previous 135 games against number one seeds, up until March 16th, 2018 when the University of Maryland Baltimore County finally beat the odds and defeated the University of Virginia 74-54. “I was honestly not that upset about this upset, I was more amazed that it happened. It didn’t ruin my bracket much, I was just excited that it happened at all,” explained Senior Aidan Maloof. As the tournament progressed, many higher seeds fell to the lower seeds. One of the most unexpected upsets was fifth-seeded University of Arizona falling to thirteenth seeded University of Buffalo 68-89, even though in early NBA mock drafts analysts had Arizona’s freshman DeAndre Ayton as the number one pick in the draft. However, Arizona could not overcome the deficit and advance to the next round. Viewers saw other big names such as fifth-seeded University of Kentucky lose to Kansas State University 61-58. Similarly, Florida State topped off the number one seed Xavier in the west to create another huge upset. The Final Four came down to Loyola- Chicago versus the University of Michigan, where Michigan took an early lead and kept it due to their steals and effective rebounds. Michigan won 69-57. In the other matchup, Villanova took care of the University of Kansas very early on, shooting 12 three point shots in the first half and going into the locker room with a 15 point lead. Villanova held onto their lead, finishing with a score of 95-79. The finals had an impressive matchup, with Michigan and their incredible defense against Villanova and their stellar 3-point shooting. Unfortunately, the Wolverines could not keep up with Villanova’s impressive offense, shooting near 50% from inside the arc, while tripling Michigan’s 3-point productivity. In the end, blue and white confetti fell from the ceiling, as Villanova was once again crowned National Champions for the second time in three years. Looking into the next year’s tournament the Duke Blue Devils once again take the number one spot going into the 2018-19 season landing the top three recruits in the country, R.J Barrett, Cameron Reddish and Zion Williamson. Followed closely by Kansas who has talent and experience, with 5-star guards Quentin Grimes and Devon Dotson coming and looking to lead the team to the finals and possibly a championship. The 2018-2019 season looks to be very interesting with a lot of big matchups and a lot of potential for madness once again.